I hope that your well and having a good day. Lucy and I are currently in Australia getting all ready for the birth of baby Number 2. My blood pressure was getting quite high whilst I was in Mwandi so I came here to Port Lincoln a few weeks earlier than planned. At least my blood pressure is settled now and my health is good. Yesterday, I went for a scan and the baby is growing well and due on the 19th September. Ruairidh will be back here a week before the birth so please pray for his safe travels back and forth from Zambia to Australia. 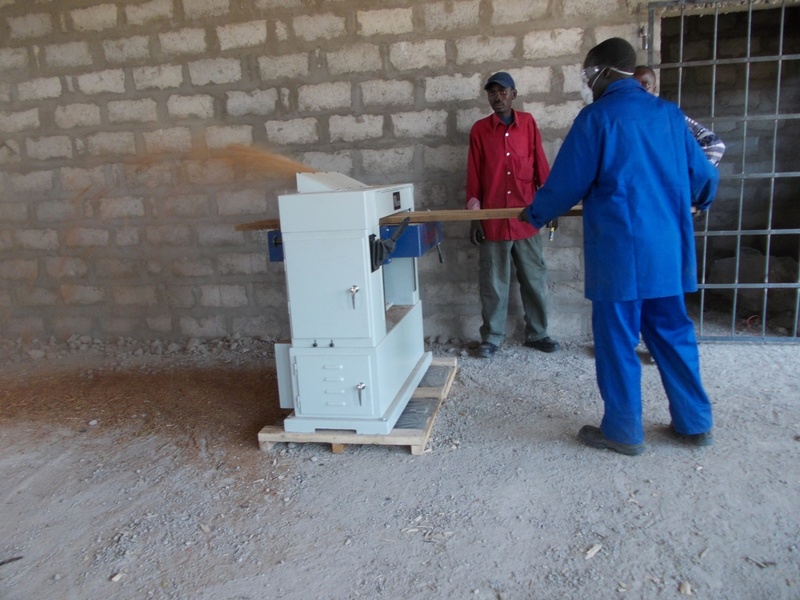 Always busy at the Project with the running of all our programs and we have been extremely blessed to receive wonderful support to our Carpentry Project with finances for three industrial machines, as mentioned in previous blog : Three phase planner, table saw and thicknesser . These machines will help generate income for the centre and cover the costs of power for the project on a whole. They did take me some time to source in South Africa, but they are strong, reliable, easy to use and spare blades and parts are available in South Africa if ever needed. They have finally arrived now at the project, the building is not quite complete but as you can see the machines are installed but the building is yet to be plastered and painted. 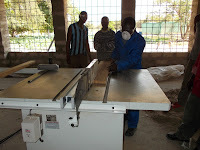 How God continues to bless us and our community with our amazing vocational training centres. 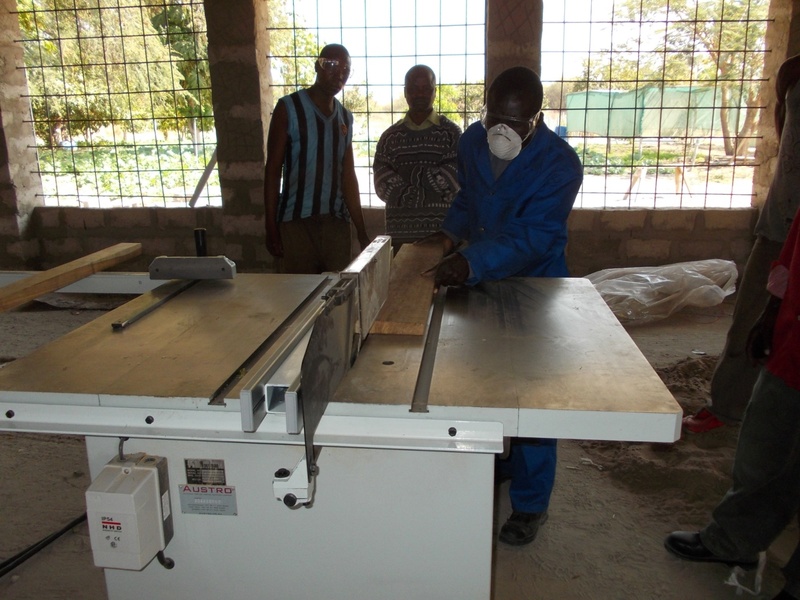 Thank you so much to those who have given to help our Carpentry Centre for the three phase power, the industrial machines, buildings and tools. We have been blessed to have teams and individuals come to help us teach staff new skills, doing allot of work at the project and share their faith with staff, volunteers and children at the Project. Thank you all . Our Nutrition program has increased its number. We are now feeding 280 children 6 days a week. We hope we are able to sustain this number and even add more as we receive funding. The garden at the project is growing some lovely vegetables, although the season is late this year we are now producing allot of fresh vegetables for the feeding program and for sales to the community to help sustain the garden. In past years we have been hit terribly with frost in the winter months, but fortunately this year we only had a few tree’s burnt and not the vegetables. On the weekends the High school students that the project sponsors, come to help do weeding and planting in the garden, the students also are learning as they are working as our gardeners are close at hand. 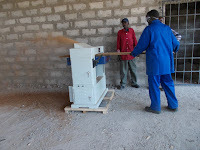 The projects runs a 6 month Agriculture training course for 10 x Orphans and Vulnerable Children from the community, (5 in school and 5 not) ,so we can run the training on the weekends. The aim of the course is that these students learn the importance of food security in their households by the growing of vegetables . The good health of our baby, Lucy, Ruairidh and myself. Financial support to come in for all our needs at the project. Local Staff and volunteers who are working at the project. Visitors who are coming to Mwandi UCZ Mission to help teach, help and share their lives with our community members. Thank you for your love and support and I hope to be able to report more in a few weeks.